This volume identifies, illustrates, compares, contrasts and provides informed reflective commentary on the diverse career trajectories of English language teachers, teacher educators and researchers. Increased migration and globalisation pressures have led to dramatic changes in English language teaching over the last few decades. The resulting increased demand for well-qualified English language teachers has also impacted positively on the status of this profession, as developing a career in this field is now increasingly linked to advanced academic study as well as work possibilities in a wide range of diverse contexts. 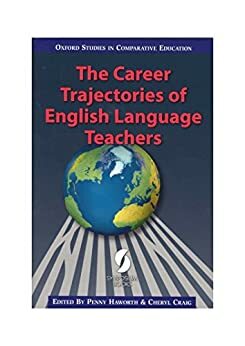 This book provides insights into the career trajectories of English language teachers in Argentina, Australia, Brazil, Canada, Chile, China, the Czech Republic, Greece, Iceland, India, Malaysia, Mexico, New Zealand, Thailand, Turkey, the United Kingdom, the USA, and the Middle East. This book is likely to be of interest not only to teachers in the field of English language teaching, but also to researchers with an interest in exploring teachers’ lives and careers in diverse contexts. The insights provided in this book will no doubt inspire those who wish to develop, or further develop, a career trajectory in this intriguing field, as well as provoke teacher educators to consider new ways to support those entering the field of English language teaching and those currently navigating its many complex challenges.